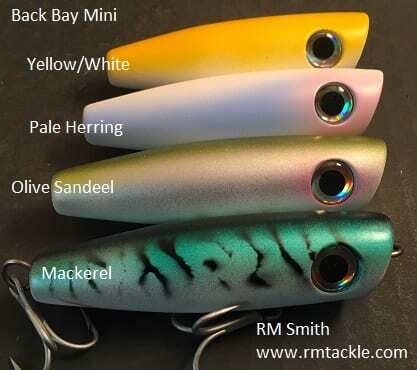 NEW – Back Bay Mini’s are great small profile poppers that are perfect when small bait are present. They weigh in around 1oz and are about 3 1/2″ Long. They cast quite well for their size.